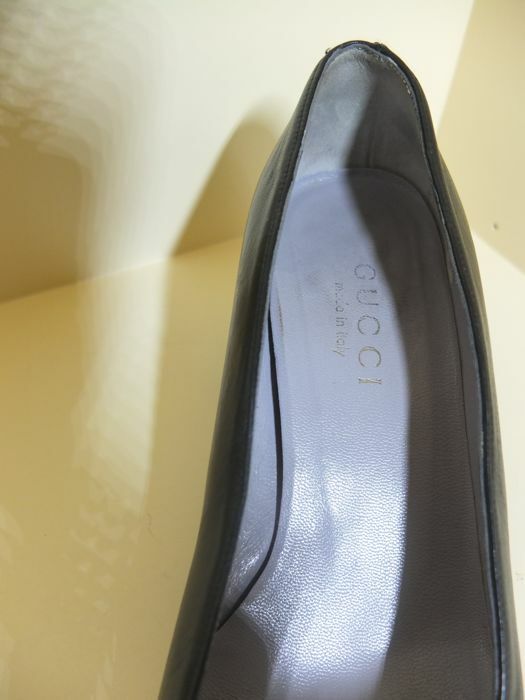 Black Gucci low courts in leather in size 38.5C. 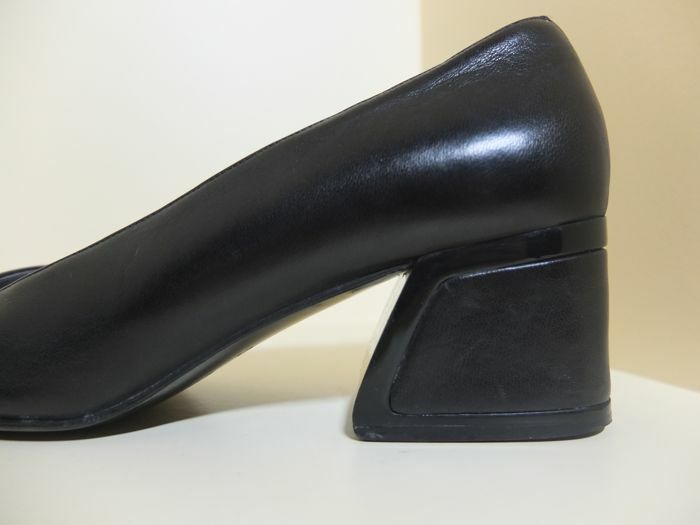 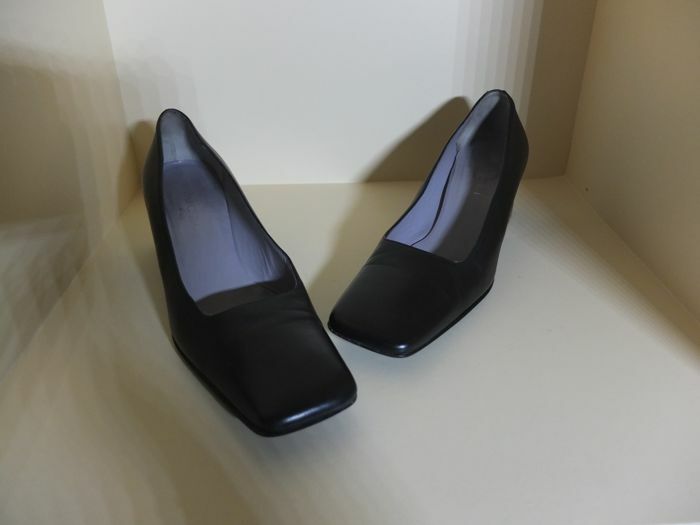 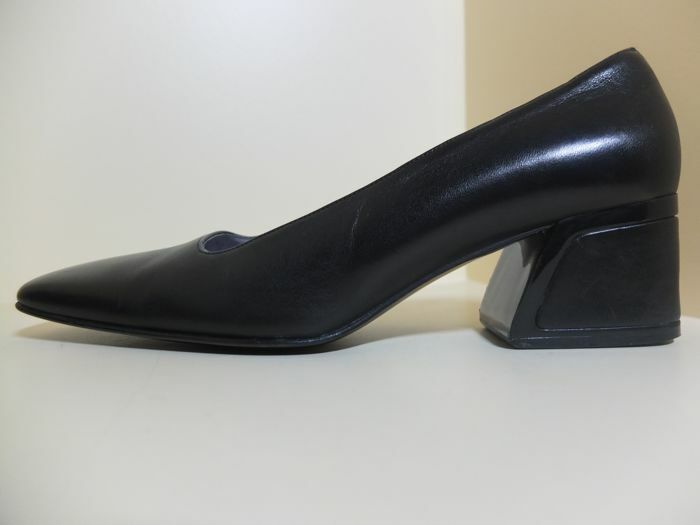 Beautiful heel with a height of 5 cm. 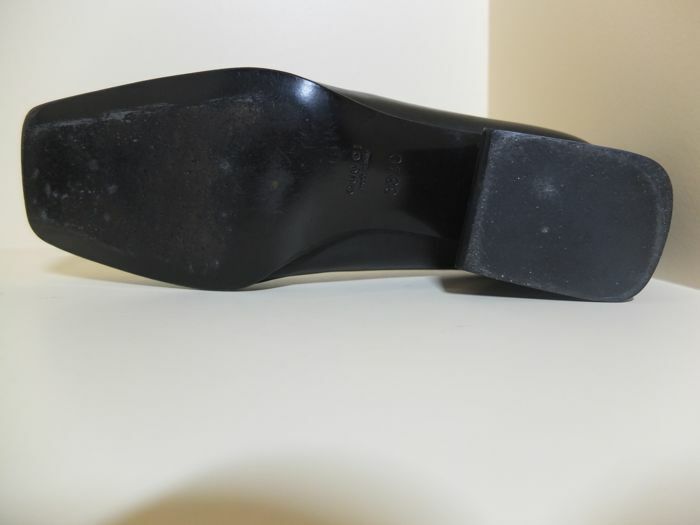 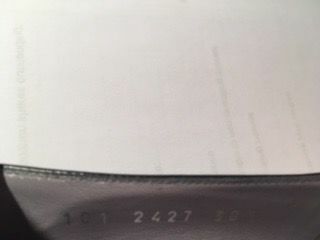 Worn a few times, outsole has some scratches, insole in good condition.